The new Sixth Edition of our “Who Pays?” report released in October contains a trove of data and information on the tax code of every state and the District of Columbia, showing and explaining in detail how our state and local services such as schools, public safety, and health care are disproportionately funded by taxes on low- and middle-income families and communities of color rather than the wealthy individuals enjoying the greatest rewards from our economy, our shared investments, and centuries of discrimination. It is our hope that these data and findings can provide a foundation and perspective from which policymakers, advocates, and residents can work together to build better tax codes and brighter futures for all. 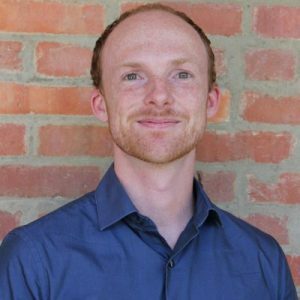 Emphasize revenue sources that reflect underlying inequalities. Given the severely unequal distribution of income, corporate profits, and inherited fortunes, taxes on these types of income are a sensible place to start making tax systems more equitable. Don’t overuse consumption taxes. Sales, gas, tobacco, and alcohol taxes have their place in a state and local tax system, but are harshly regressive and should not be the primary source of funding for our shared priorities. Use targeted, refundable tax credits. States can look to the Earned Income Tax Credit (EITC) as a model or inspiration for how refundable tax credits can deliver help to the families that need it most in a way that offers state budgets a lot of bang for their buck. Trim out unnecessary and ineffective special tax treatment. Not all tax breaks are created equal, and unfortunately many of them are decidedly unequal, wastefully bestowing benefits on households that don’t need them while constraining our ability to invest our communities through better schools, roads, and other services. Pursue bold reforms to remedy long-running distributional inequities. 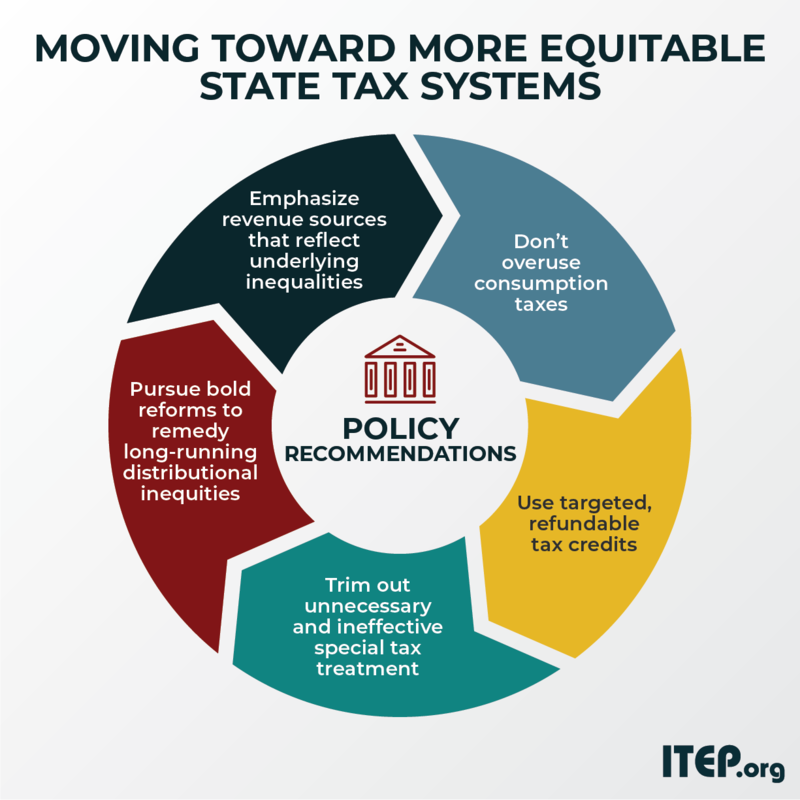 Our final recommendation is to look beyond this list of recommendations for further ways to make state tax systems more equitable; the scale of the problems and opportunities facing us extends far beyond what can be covered in such a report (of any length). We encourage anyone involved in making state policies – lawmakers, advocates, researchers, and concerned residents – to check out this new publication and learn more about these essential keys to making state tax codes more equitable.